How do you increase sales before or after vacation? A lot of people get caught in “vacation mode”. Vacation mode is where you don’t feel like taking the right actions to grow your sales because you’re mind is still on vacation. You may find yourself losing chances to increase your sales because the couple of weeks before your vacation you are distracted. Once you get back from vacation you may still take a couple of weeks to get back to normal. That is a whole month of lost chances to increase your income! Top producers never do this. 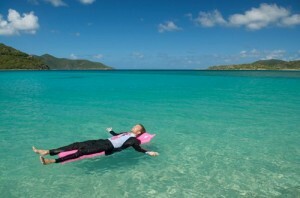 So how do you increase sales before and after vacation? Schedule what days you are going to work and what days you are going to take vacation. When it is a day you scheduled to work then give it all your effort and focus. Don’t be in the office while wishing you were at the beach. Don’t allow yourself to make excuses to not make your calls. You are a professional problem solver. Do your job. If you did not schedule today as a holiday in your calendar in advance then don’t treat it like a holiday. Nothing lowers confidence more than knowing you could have given a better effort but didn’t. Don’t plan your vacation or make arrangements during business hours. Be jealous of the times of the day you can be talking to prospects and increasing sales. Don’t waste your sales time searching for flights on the internet or getting someone to feed your dog and water your plants. Handle those necessary things after sales hours. Any few dollars you might have saved by taking 4 hours trying to get the best deal on whatever for your vacation will be offset by the sales you lost because you weren’t solving problems for someone. Read your goals every day when you get back from vacation. Reading your goals will help you get and stay focused. It will help you make the future more real to you. It will take your focus off of wishing you were still on vacation and put it back into creating the life that you want. Here is a bonus tip. Be sure to schedule some sales presentations for the day you are back to work to force you to perform. You may be tempted to take a day to get back on track or to handle messages on your voicemail. Don’t make this mistake! Instead schedule a sales presentation for first thing when you get back to work if possible. At least schedule several sales presentations on the same day you get back. This will help you increase sales by making a sale on the day you get back or at least getting you back in “the groove”. If you use these tips you will be more productive. You will increase sales for yourself. Your confidence will skyrocket, you will crush your lethargic competition and live the life you really want.